Dillon Valley Elementary School became an authorized International Baccalaureate Primary Years Programme (PYP) School in March 2007. Dillon Valley offers its program in a dual language setting (Spanish-English). The Primary Years Program (PYP) is for all students ages 3-12. It focuses on the development of the whole child, guiding them to develop their intellectual, personal, emotional and social skills as well as academics. Students at Dillon Valley are taught using an inquiry based curriculum. This approach to learning empowers students by becoming aware of how they learn so they will become more confident and responsible life-long learners. The IB reflects real life events by encouraging children to apply learning beyond the classroom walls. Students explore meaningful, in-depth issues that have local, national and international relevance. As a result of students’ studies, children at Dillon Valley are continually encouraged to engage in meaningful action” to create a better and more peaceful world”. The International Baccalaureate Organization (IBO) was established in 1968 as a non-profit educational foundation based in Geneva, Switzerland. 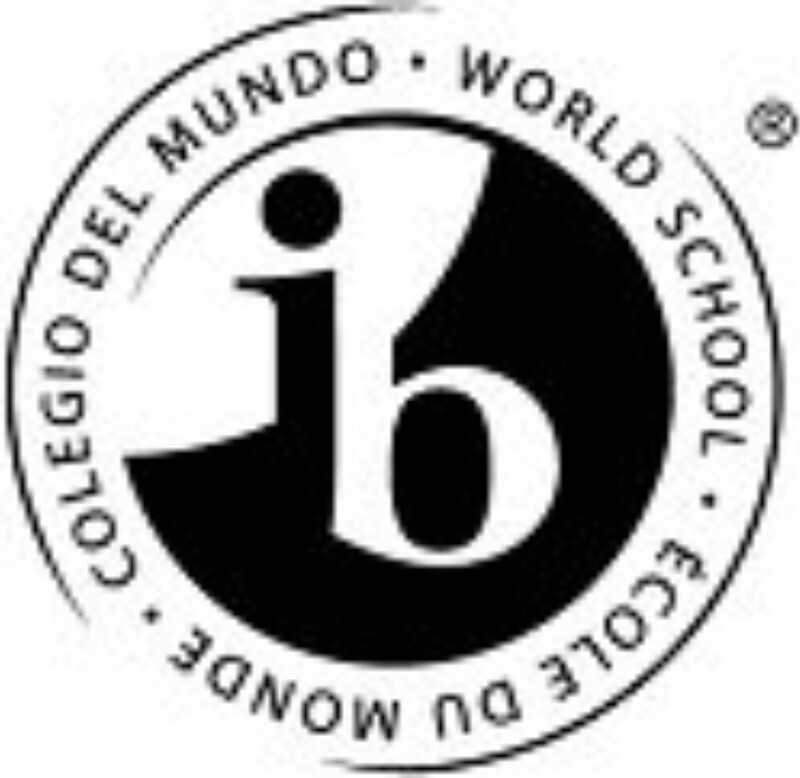 There are 1,182 authorized IB world schools in 101 countries. The IBO offers a wide range of services to the schools authorized to administer its programmes, such as curriculum and assessment development, teacher training and seminars. 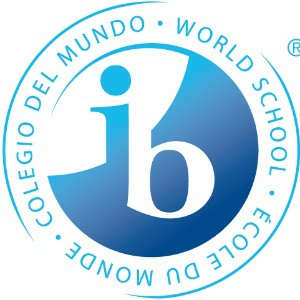 Through comprehensive and balanced curriculum coupled with challenging assessments, the International Baccalaureate Organization aims to assist schools in their endeavors to develop the individual talents of young people and teach them to relate the experience of the classroom to the realities of the world outside. Beyond intellectual rigor and high academic standards, strong emphasis is placed on the ideals of the international understanding and responsible citizenship, to the end that IB students may become critical and compassionate thinkers, life-long learners and informed participants in local and world affairs, conscious of the shared humanity that binds all people together while respecting the variety of cultures and attitudes that makes for the richness of life. From the mission statement of I.B.O. La Escuela Primaria Dillon Valley llegó a ser un autorizado Bachillerato Internacional Programa de Primario Años (PYP) en el 2007 de marzo. La escuela Dillon Valley ofrece su programa en una posición de doble idiomas (español-inglés). El Programa de Los Años Primarios (PYP) es para todos los estudiantes de edad 3-12. Se centra en el desarrollo del niño entero, para guiararlos en el desarrollar de sus habilidades intelectual, personal, emocional y la aptitud para el trato social así como académicos. The purpose of this document is to clarify teachers’ understanding of the assessment process within our school setting. Our Assessment Policy applies to the whole school and is to be communicated to and understood by all continuing and new teachers, students, parents, and administrators. Why do we assess the way we do at Dillon Valley Elementary School? What assessment actions do we take because of our philosophy? How does assessment look at our school specifically? We assess in order to guide instruction. We do this so that we can enhance, support, and drive the points of inquiry we will develop. Because assessment guides our planning and instruction, we make sure it is frequent, on going, and varied. This can be through formative and/or summative assessments. Using a backward design allows us to effectively plan instruction and evaluate our students’ progress. We assess frequently to find out what the student already knows and can do in order to discover what the next best teaching/learning steps would be. Anecdotal records and checklists. See above. We believe that teachers are professionals with the ability to create and evaluate student performance. We collaborate regularly with other teachers to design, discuss and reflect on student learning. The Coordinator helps develop the summative assessments through discussions and during collaborative weekly meetings. Students are guided to self – assess, and to reflect on learning in order to grow and change as life-long learners. We actively teach our students to self-assess in both academic and behavioral areas. On an ongoing basis, students are asked to self assess their experiences and make contributions to their portfolios. Portfolios are developed PK-5 and students contribute to them throughout their DVE career. We believe our students can demonstrate their conceptual knowledge in a variety of ways. Our goal is to allow students to showcase their learning in a variety of ways. Teachers use multiple means of assessing students’ learning such as written responses, oral presentations (including video), plays, action and making models. The element of choice is provided within the structure of the assessment. We believe assessment data is important for teachers, parents, students, administration, and the community. We regularly communicate this data to students, teacher, parents, administration, and the community. Using a transdiciplinary approach for assessing student learning, teachers will assess all the elements of the PYP; knowledge, concepts, skills, attitudes and action. Teachers will use both formative and summative assessments and the purpose and means of assessment will be clearly explained to the students. Each Unit of Inquiry will include both formative and summative assessments. The purpose and means of assessment will be clearly explained to the students. Assessments may include one or any combination of the following: synthesis of information, application of knowledge and process. Formative Assessments are interwoven throughout the day. Formative assessments will determine a student’s prior knowledge as well as their progress in order to plan the next stages of learning. Formative assessment and teaching are directly linked; neither can function effectively or purposefully without the other. Summative Assessment takes place at the end of each unit of study and is an opportunity for students to demonstrate what has been learned; highlighting the knowledge, concepts, skills, attitudes and action acquired over a period of time. Student self assessments are ongoing. It is understood that self assessments will happen throughout the unit. This reflective process will be evident in student portfolios. Self assessments may look like any of the following: written, drawings, photos, student graded rubrics etc. Purpose: At Dillon Valley Elementary all teachers, staff, students and parents are expected to model the attributes of the Learner Profile. Students are expected to self reflect and set goals on their development of these attributes. Preschool through fifth grade will introduce the Learner Profile attributes. All Units of Inquiry have focus attributes that will be revisited during the duration of the unit. Students are recognized for demonstrating the Learner Profile by all teachers with which they work. 5th grade will reflect their personal growth/journey through demonstration in the exhibition. What is a Portfolio? Portfolios are collections of student work that reflect and provide a picture of each child’s learning throughout their years of study at Dillon Valley Elementary. How items are selected for the Portfolio? A Portfolio is a continuous collection of student’s work that demonstrates and celebrates growth and learning over time. It documents the process of active learning. It allows students to reflect and communicate with parents, teachers and peers. Portfolios are comprised of self selected pieces of student work from each unit of inquiry every year including goals and reflections. Portfolios will contain a variety of evidence of student learning, encompassing all five IB essential elements. This evidence may include formative and summative assessments, reflections, photos, videos, learner profiles, attitudes, actions and leadership across subject areas including specials. How Portfolios are organized and managed? Portfolios are kept in three inch binder and can be easily accessible in their current grade level teams’ classrooms. Beginning in Preschool, teachers support children by selecting pieces of work. If a child did not attend Preschool, then this process begins in Kindergarten. Students that enter after Kindergarten begin a portfolio. The PYP coordinator is responsible for supporting classroom teachers by providing the paper for their cover and spine, two printed name labels, as well as the POI table of contents. The office will provide teachers with student photos to be placed on the front cover. Kindergarten will put dividers on the beginning of the year school supply lists. Students’ artifacts chosen for portfolios must include; name & date. Items in the portfolios should be in sequential order behind the appropriate tab. Therefore with the current grade on top. Teachers are responsible for passing on students’ portfolios to their new classroom. Within the first quarter of school, teachers will provide time for students to revisit their portfolio. Each piece of work will be dated. Philosophy: Parent-Teacher conferences will be conducted in the fall. Winter conferences will be student led with teacher support. The purpose of conferences is to establish and maintain a relationship with families and set student goals. As with all assessment at Dillon Valley, formative assessment is required to inform instruction and student progress. The chart below lists required district assessments consistent in all Summit Schools. Language is fundamental to learning, thinking and communicating, and it permeates the whole curriculum. It is necessary not only to learn language, but also to learn about language through language. Learning best takes place in authentic contexts, and in a transdisciplinary manner. The strands of oral, written and visual communication are learned across and throughout the subject areas. Each aspect is only relevant in relation to the whole.Therefore, all teachers in a PYP school are language teachers and contribute to children's’ language learning. To meet the needs of an ever increasing population of Spanish speaking children in Summit County, and to enrich the language opportunities of non-Spanish speaking children, Dillon Valley began a Dual Immersion Program (Spanish and English) in 2005. Grade levels K-5 at Dillon Valley are taught in both English and Spanish. Teachers at Dillon Valley believe that learning that takes place in the mother tongue is more easily acquired and then transferred into a second language. This program allows students to maintain and increase their usage of their first language while at the same time acquiring a second language. The ability to communicate in both Spanish and English promotes a deeper understanding amongst students, staff, parents and the community. It also promotes inquiry and respectful attitudes towards other cultures. By valuing and giving status to Spanish language and culture, children are encouraged to maintain their cultural identity while assimilating to life in the United States. At Dillon Valley, PYP Scope and Sequence documents for Language Arts and the Common Core Standards have been aligned. During the 2012 school year, grade level representatives revised our local Literacy Curriculum. Throughout the planning process, every effort is made to integrate Language Arts Standards within unit planners to provide students with meaningful learning experiences. This work will be on-going. Student outcomes identified by the Common Core Standards apply to each student in both languages (English and Spanish). However, the expectations and pace of them may vary depending on individual needs. Students will progress through the different stages of language development at their own pace with consideration to developmental stages and learning styles. Multiple interventions are in place at Dillon Valley to assist children with their language needs. Each child participates in a 30 minute intervention/extension block to differentiate instruction and focus on individual language needs. These are fluid groupings that are determined based on a child’s needs and strengths. The support includes language development, remedial reading strategies and extensions in language arts in both Spanish and English. Many systems are in place to track student progress in the Language Arts area. Monthly Response to Instruction (RTI) meetings are held with each team of grade level teachers, principal, Literacy Resource and English Language Teachers to plan for the needs of each group of students. An individualized plan is formalized to help each child be successful and make adequate gains in academic and behavioral areas. Students who enroll at DVE speaking a language other than English are given a Home Language survey and are provided with appropriate assistance depending on their needs. Annually English Learners are assessed to monitor progress in Speaking, Listening, Reading and Writing on the WIDA ACCESS. Services include direct instruction for those children who need instruction in English on a daily basis, as well as a modified program within the classroom. Students acquire language through integrated transdisciplinary units using comprehensible input, TPRS and explicit transfer of language. Teachers use technology at Dillon Valley to enhance students language acquisition as well as to provide students with tools to collaborate and learn within and beyond their classroom doors. Teachers use technology to reinforce concepts, create, communicate, collaborate and connect with the world. On-going professional development for best strategies to support language development. Formal assessments of Language Arts Skills are assessed according to NCLB (Read Act) guidelines using a variety of tools including DRA2, NWEA and PARCC. In addition, WIDA is given yearly to students whose home language is not English. SOPA (Student Oral Proficiency Assessment) is administered in second grade and AAPPL in fifth grade to native English speakers to assess their proficiency in Spanish. All information (newsletters, P/T conferences, parent meetings) are conducted in both Spanish and English). Translators are sought for other communication with parents of other languages. The school district provides each classroom with materials to teach the state standards. In addition, staff and school community members sponsor a variety of events to raise additional funds for programs and materials. These events include El Grito Fun Run, Halloween Carnival, Book Fairs and Movie Nights. Special grants through the Summit Foundation, Summit School District Technology, and a variety of local businesses can be applied for. Para reunir las necesidades de una población siempre creciente de niños de habla española en el Condado Summity para enriquecer las oportunidades del lenguaje de los niños que no hablan español, Dillon Valley comenzó unPrograma de Concentración Dual (español e inglés) en el año 2005. Los niveles del grado K-5 en Dillon Valley eranensenados en inglés y español. Los maestros en Dillon Valley creen que el aprendizaje que toma lugar en la lenguamadre es adquirido más fácilmente y entonces transferido a un segundo lenguaje. Este programa permite a losestudiantes que mantengan y aumenten el uso de su primer lenguaje mientras, al mismo tiempo, adquieren unsegundo lenguaje. La habilidad para comunicarse tanto en español como en inglés, promueve un entendimiento másprofundo entre los estudiantes, el personal, los padres y la comunidad. También promueve análisis y actitudesrespetuosas hacia otras culturas. Al valorar y dar un estatus a la cultura y el lenguaje español, los niños sonanimados a mantener su identidad cultura mientras asimilan la vida en los Estados Unidos. El personal de apoyo bilingüe, comenzado desde preescolar, aumenta y apoya la instrucción del primerlenguaje en su lengua madre (Inglés o español) y para introducir un segundo lenguaje. Intervenciones múltiples están colocadas en Dillon Valley para ayudar a los niños con las necesidades de su lenguaje. Cada niño participa en un bloque de intervención/extensión de 30 minutos para diferenciar la instrucción y enfocarse en las necesidades individuales del lenguaje. Estos son grupos fluídos que están determinados basados en las necesidades y talentos del niño. El apoyo incluye el desarrollo del lenguaje, extensiones y estrategias de lectura correctiva en arte del lenguaje tanto en inglés y español. Muchos sistemas son colocados para encauzar el progreso del estudiante en el área de Arte del Lenguaje. Mensualmente, las reuniones de Respuesta a la Instrucción (RTI), son sostenidas con cada equipo de los maestros del nivel del grado, el director y los maestros del Lenguaje Inglés y Recursos de Alfabetización para planear las necesidades de cada grupo de estudiantes. Un plan individualizado está formalizado para ayudar a cada niño a tener éxito y tener las ganancias adecuadas en las áreas académicas y de conducta. Los estudiantes que se inscriben en DVE hablando un lenguaje diferente del inglés, se les da un Estudio del Lenguaje en Casa y se les da la asistencia apropiada dependiendo de sus necesidades. Anualmente, los Aprendices del Lenguaje Inglés, son evaluados para monitorear el progreso al hablar, escuchar, leer y escribir en el programa ACCESO WIDA. En los servicios incluyen la instrucción directa para esos niños que necesitan la instrucción en inglés en una base diaria, así como un programa modificado dentro del salón de clase. Enfocarse en la adquisición del lenguaje versus el aprendizaje del lenguaje. En Dillon Valley, los maestros usan la tecnología para aumentar la adquisición del lenguaje de los estudiantes, así como proveerles las herramientas para colaborar y aprender dentro y más allá de las puertas del salón de clase. Los maestros usan la tecnología para reforzar conceptos, crear, comunicar, colaborar y conectarse con el mundo. Las evaluaciones formales de las Habilidades de Arte del Lenguaje, son evaluadas de acuerdo a las pautas NCLB (Acta de Lectura), usando una variedad de herramientas incluyendo DRA2, NWEA y PARCC. En adición, WIDA es dado anualmente a los estudiantes quienes su lenguaje en casa no es el inglés. SOPA (Evaluación de la Competencia Oral del Estudiante), es administrada en el segundo grado y AAPPL en el quinto grado para los niños que s lenguaje nativo es el inglés para evaluar su competencia en español. El Distrito Escolar proveé a cada salón de clase los materiales para ensenar los criterios estatales. En adición, el personal y los miembros de la comunidad escolar, patrocinan una variedad de eventos para recaudar fondos adicionales para los programas y los materiales. Estos eventos, incluyen: El Grito, Carnaval de Halloween, Feria del Libro y Noches de Cine. Otros subsidios especiales a través de la Fundación Summit, Tecnología del Distrito Escolar Summit y una variedad de negocios locales que pueden ser aplicados. Dillon Valley is authorized to provide the Primary Years Program (PYP) of the International Baccalaureate (IB). This program “aims to develop inquiring, knowledgeable and caring young people who help to create a better and more peaceful world through intercultural understanding and respect” (IB Mission Statement). The core components of this program include a Program of Inquiry (POI), inquiry based learning, reflection, and the action cycle. Dillon Valley es una escuela autorizada para proporcionar el Programa de la Escuela Primaria (PEP) del Bachillerato Internacional (IB). Este programa “tiene como meta desarrollar jóvenes pensadores, solidarios que ayuden a crear un mundo mejor y más pacífico a través del entendimiento intercultural y el respeto” (Declaración de principios del IB). Los componentes claves de este programa incluyen el programa de indagación (PDI), aprendizaje basado en la indagación, reflexión, y el ciclo de acción. Íntegros, equilibrados, solidarios, buenos comunicadores, indagadores, informados e instruídos, de mentalidad abierta, audaces, pensadores, reflexivos. Apreciación – Apreciar la belleza y maravillas del mundo y de su gente. Compromiso – Estar comprometido con su aprendizaje, perseverancia y mostrar auto-disciplina y responsabilidad. Confianza – Sentir confianza en su habilidad como aprendices, tener el coraje de tomar riesgos, aplicar lo que ellos aprendieron y tomar decisiones y elecciones apropiadas. Cooperación – Cooperar, colaborar y guiar o seguir como lo demande la situación. Creatividad – Siendo creativo e imaginativo en su pensamiento y en su enfoque con los problemas y dilemas. Curiosidad – Siendo curioso acerca de la naturaleza de aprendizaje y del mundo, su gente y su cultura. Entendimiento – Ellos mismos proyectarse imaginativamente en otra situación, en orden de entender sus pensamientos, razonamiento y emociones. Entusiasmo – Disfrutar del aprendizaje. Independencia – Pensar y actuar independientemente, hacer sus propios juicios basados sobre los principios razonados y poder defender sus juicios. Integridad – Tener integridad y un firme sentido de justicia y honestidad. Respeto – Respetarse a sí mismo, a otros y al mundo a su alrededor. Tolerancia – Sentimiento de sensibilidad hacia las diferencias y variedad en el mundo y siendo responsivo a las necesidades de otros. Please see the following link for a slide show on the exhibition process from the parent meeting. Por favor vea el siguiente enlace para ver una presentación sobre el proceso de exhibición de la reunión de padres.